SAMES KREMLIN will be present at the next edition of EUROSURFAS fair on 2-6 October in Barcelona. 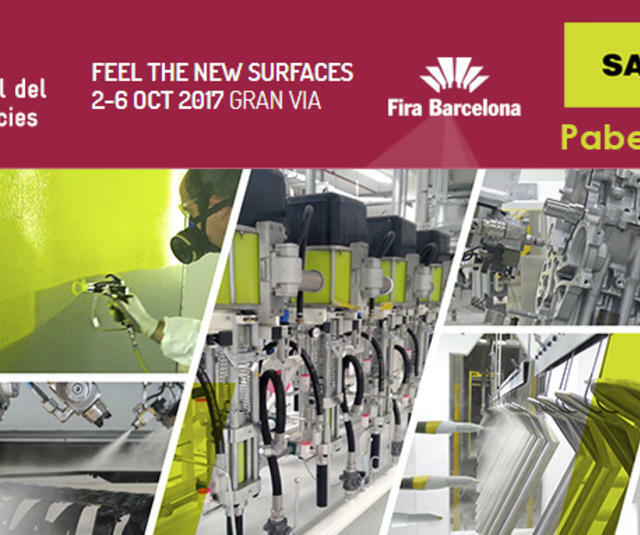 EUROSURFAS is the leading international meeting in Spain on surface treatment. With a highly satisfactory balance of exhibitors and visitors, it closed its 25th edition with a total of 37,846 visitors, about 160 exhibitors and an area over 2,000 m2. SAMES KREMLIN invites you to visit our stand, in hall 3 - stand G782, to know the innovations that we offer in the sector.